I should be quilting but I just had to start a string quilt using rectangular blocks. There have been several pictures posted at the HeartStrings group and Hanne posted one she finished too. I’ve had the book String Quilts with Style by Bobbie Aug & Sharon Newman for a while and they’ve got a quilt in the book using rectangular blocks called Tapestry. So I’m going to use that setting. 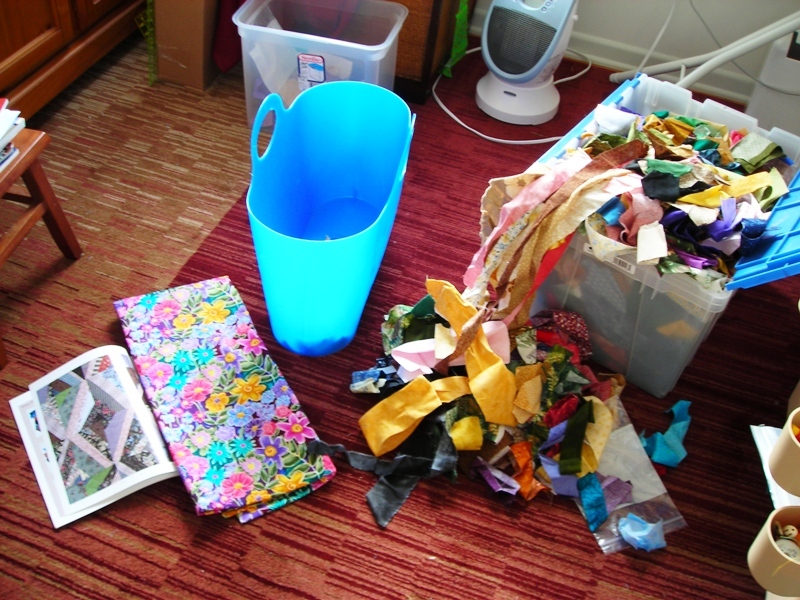 I decided to start with a floral fabric in my stash that I like but had no idea how to use and then sorted through my strings for ones that had similar colors. I’ve made the first 4 blocks but now I’m going stop playing and go load a quilt on the longarm. I really like the colors in this one a lot. 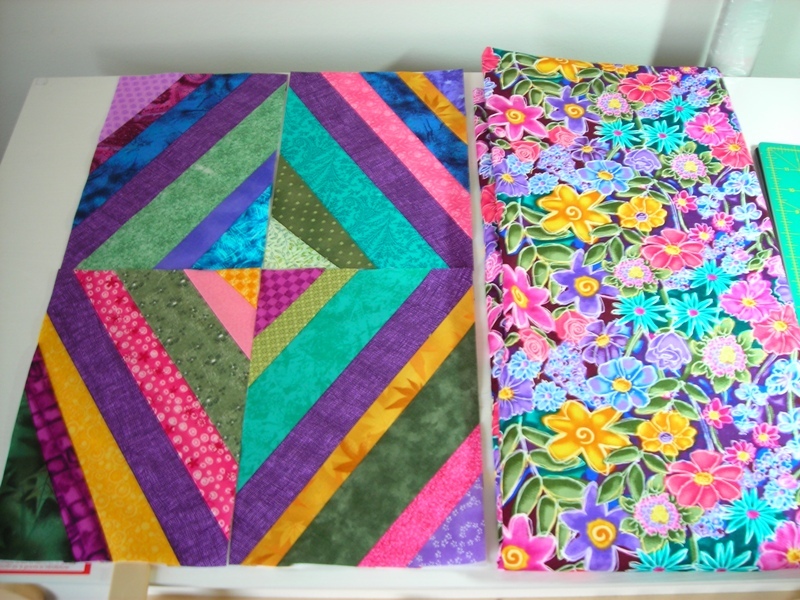 Will you be using the floral in the quilt as well, or is it just the inspiration? The colors are great. I love the floral background piece. I like grandmoms quilt. The colors flow together nicely. I’ll need to put in a request for one ike that. i like the rectangular string blocks.Will you be using the floral fabric in this quilt?